12 more days of school till summer has a lot to do with that .. 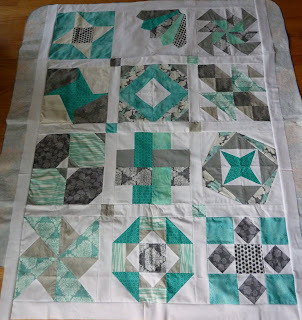 The basted quilt top currently on my sewing table to be quilted.. The pile is getting smaller and smaller! 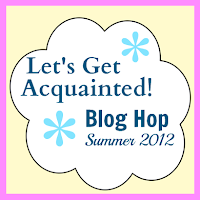 Which is good because after seeing all those new lines coming out of quilt market.. I can't wait! 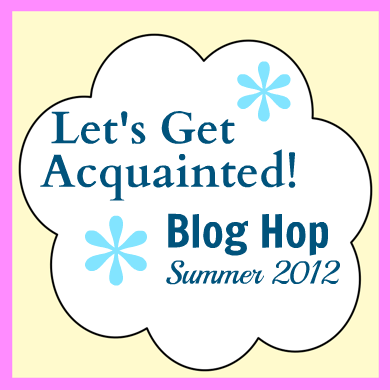 Also, don't forget to check out the bloggers featured this week on the Blog Hop! Your blocks are beautiful and nothing like a basted quilt is there?! 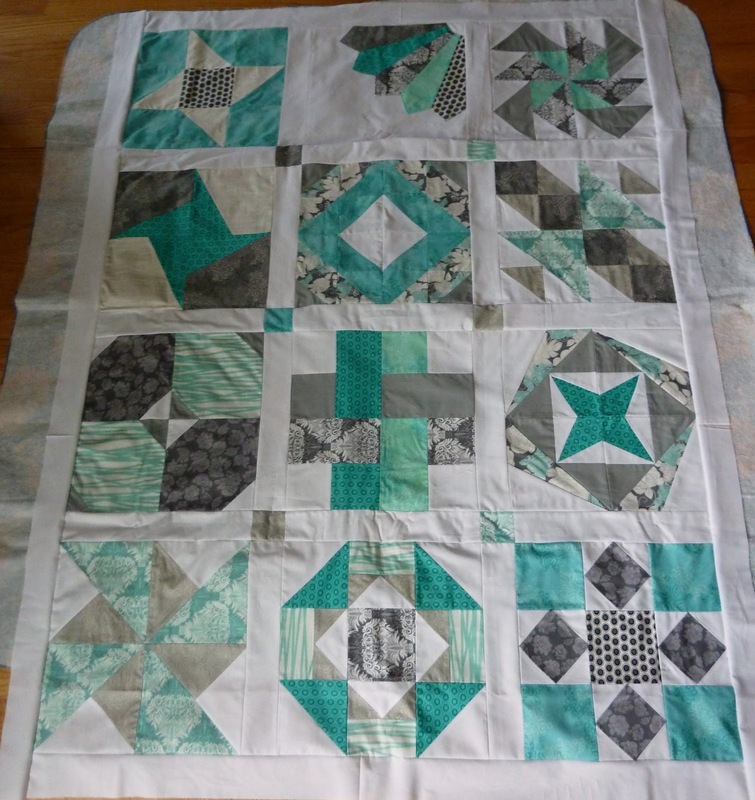 Yay, another basted quilt! 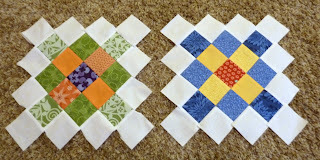 You're making more progress than I am in making a dent in quilts needing to be quilted (or at least basted! ), my pile keeps getting bigger. 12 more days of school.... yahoooooo for youuuuuu! Your blocks and top are such fun! I'm jealous that you're pile is getting smaller. I'm wishing mine was! Love your granny squares...I just posted my finish on those today! Good for you getting quilts done, they are really great. The new fabric from market looks so tempting and promising, I've got to get on my stack and make some room.